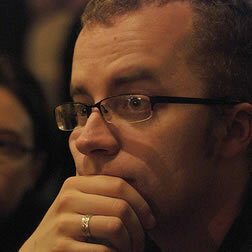 Ethan Marcotte is an independent designer and developer, and the fellow who coined the term “responsive web design”. He is the author of two books on the topic, Responsive Web Design and Responsive Design: Patterns and Principles , and has been known to give a conference talk or two. Ethan is passionate about digital design, emerging markets, and ensuring global access, and has been known to link to the odd GIF now and again. Ethan Marcotte explores methods of delivering browser-tailored CSS to uncooperative user agents if the need arises. Like the brightly coloured, ill-fitting sweater granny gave you last Christmas, there’s some styles that are only appropriate in certain company. Choose wisely, my friend.